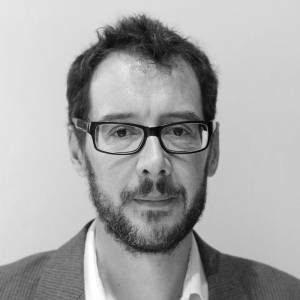 Tim is a genuinely warm and caring Consultant Psychiatrist with over sixteen years’ experience working in general adult psychiatry within the NHS and the private sector. He has worked with a broad spectrum of acute and chronic mental health difficulties in adults including; Depression, Cyclothymia, Bipolar Disorder, Schizophrenia, Psychosis, Eating Disorders, Autism, Asperger’s, Drug and Alcohol Addiction, Anxiety Disorders, Personality Disorders, Post-traumatic Stress Disorder and more Complex Trauma presentations. He is currently staff Consultant Psychiatrist at The Brighton and Hove Clinic, Elysium Healthcare (formerly The Priory Hospital Brighton and Hove), which delivers inpatient and outpatient acute mental health and addiction rehabilitation services across Sussex. He is also visiting Consultant Psychiatrist at The Rookery Hove, a specialist multidisciplinary residential service for adults with Autistic Spectrum Disorders and complex mental health needs. His clinical and research interests are in the fields of Depression and Bipolar Affective Disorders, although he also has a particular interest in trauma. Tim is a strong advocate for the understanding of mental health issues in both adolescents and adults. His approach to treatment is to develop a level of trust within a warm and professionally restorative environment that offers his patient’s strong therapeutic opportunities for recovery. He works collaboratively with his patients taking the time to talk them carefully through the therapeutic treatment options that may be beneficial to their recovery while being mindful of supporting their choices throughout. Although Tim generally works with adults, he offers psychiatric assessment consultation to adolescents from 16yrs upwards where appropriate. Tim also believes in the therapeutic benefits of exercise on both mind and body. He recently took a six-month sabbatical from work to cycle across Europe. Tim is a fully registered member of the Royal College of Psychiatrists and a full member of the General Medical Council (GMC).